This week 230 new Emojis were revealed, and two, in particular, have sent the internet into overdrive. I’m fairly sure that if you are a woman, you have tried to subtly tell someone via an emoji that you are on your period. And you have probably used some unfitting emoji’s which didn’t really convey your message. But, after years and years of waiting (okay, maybe not that long,) Unicode Consortium (the company that manages global emoji standards) has finally decided to go with the flow by introducing an emoji – a small red droplet-that will allow women to express themselves during that time of the month. The period emoji comes following an online petition organized by the UK arm of the humanitarian group, Plan International who called for a period emoji back in 2017. The petition began shortly after a Plan International survey found that 48 percent of women in the UK aged between 14 and 21 were embarrassed by their periods. So the thought behind introducing an emoji is to encourage conversations in society about menstruation which could be the first progressive step to changing some people’s views. After unveiling the design this week, the reactions I have seen on online have been mixed. 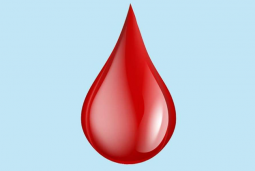 Some are thrilled, meanwhile, others think Unicode Consortium was playing it too safe with the representation, questioning whether the emoji really is a “period” emoji or a simple “blood drop.”. Some were even thinking that this emoji was fit for representing blood donation only. Check this Twitter thread to see people’s comments. Also causing a stir is an emoji that the Unicode Consortium officially said represents a “pinching hand” but those with lewd minds are saying (or thinking) that it represents the size of a man’s private parts. Check this Twitter thread to see people’s comments.